Manufacturer of a wide range of products which include aciclovir. 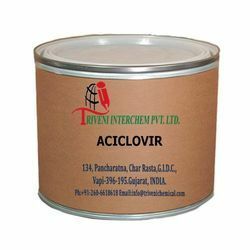 Aciclovir (59277-89-3) is powder. It is also known as Acycloguanosine. It is use in antiviral agent Industry. Looking for Antiviral Agent API ?